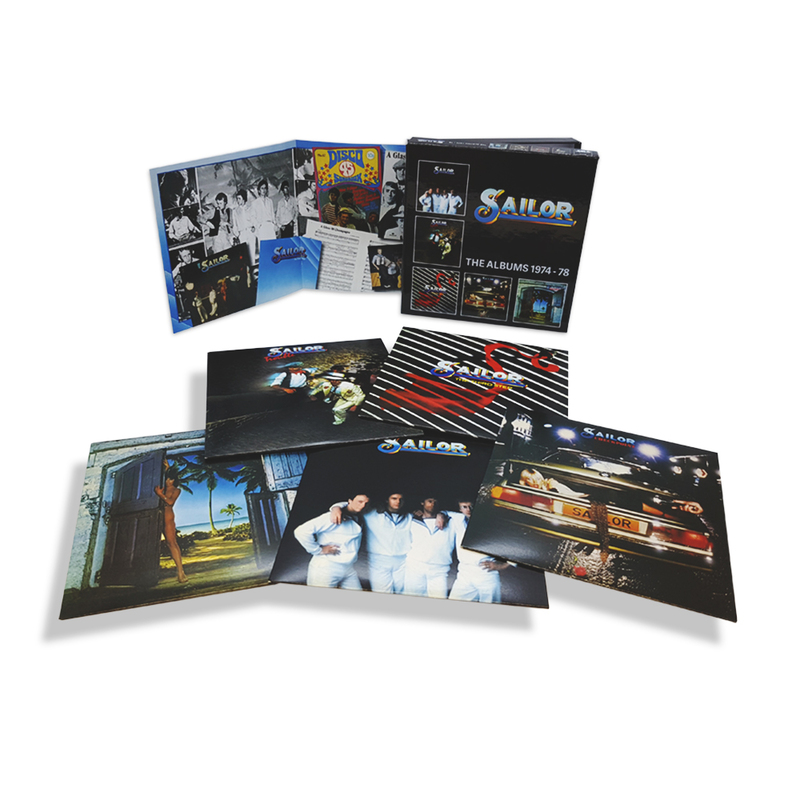 59 track five CD clam shell box set featuring all of Sailor’s albums recorded for Epic Records between 1974-78. The band’s self-titled debut is on Disc 1 and includes the ‘Traffic Jam’ and ‘Sailor’ singles which hit No’s 4 and 2 respectively in Holland. 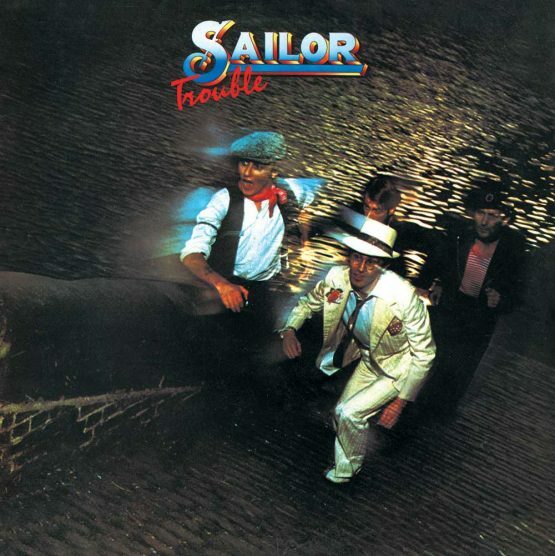 Disc 2 is the “Trouble” album which hit No.45 in the UK National Charts and includes the mega selling hits ‘A Glass Of Champagne’ (UK No.2, Germany No.3, Holland No.5) and ‘Girls Girls Girls’ (UK No.7, Germany No.2, Holland No.2). 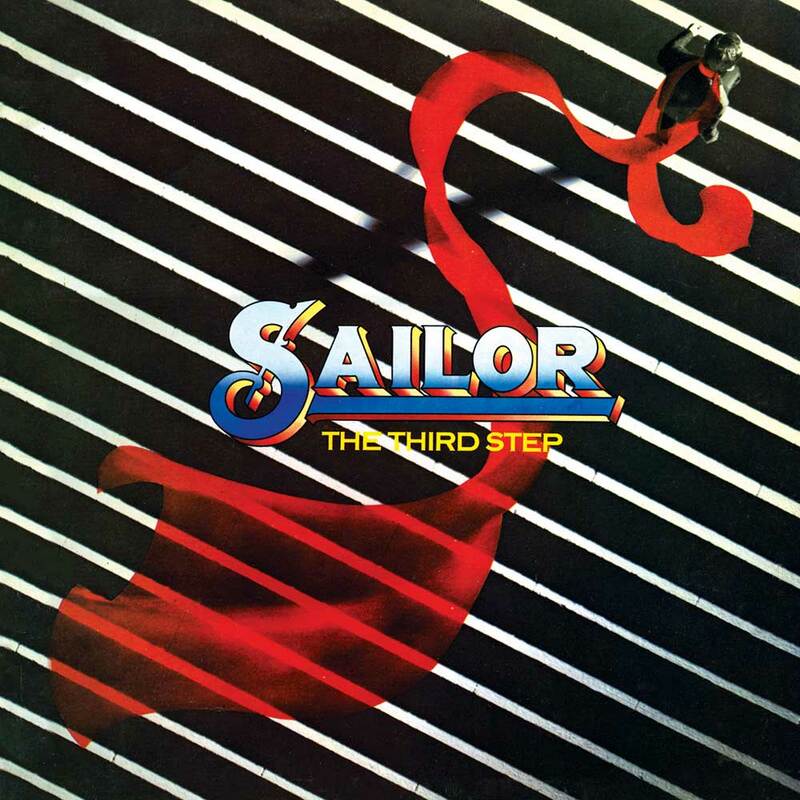 The third disc features 1976’s “The Third Step” album with the ‘Stiletto Heels’ (Germany No.12) and ‘One Drink Too Many’ (UK. No.35, Germany No.2) singles. Bruce Johnston of The Beach Boys produced Disc 4’s “Checkpoint” album which includes the German No.24 single ‘Down By The Docks’. The fifth and final disc is 1978’s “Hideaway” album which includes the German Top 40 hit ‘Give Me Shakespeare’. 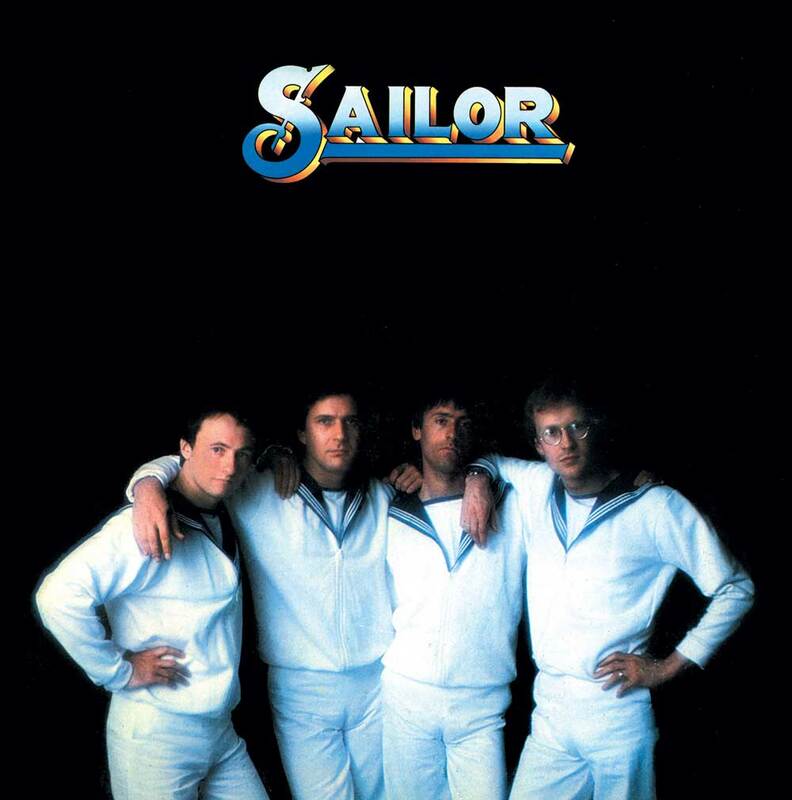 The detailed booklet includes sleeve notes by the official Sailor website alongside pictures of the relevant singles. 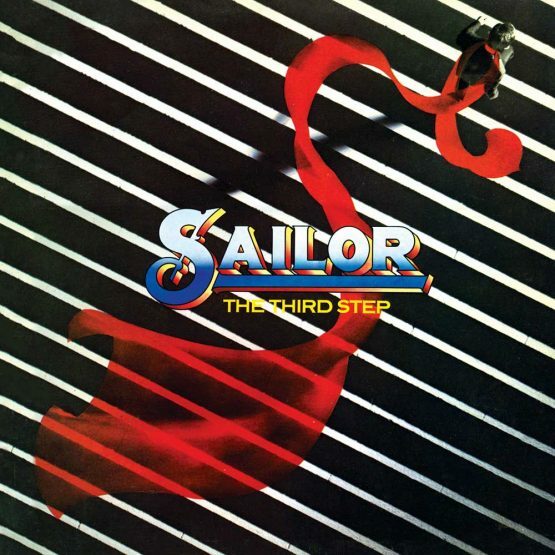 Mastered from the original Epic Records tapes by Alan Wilson. 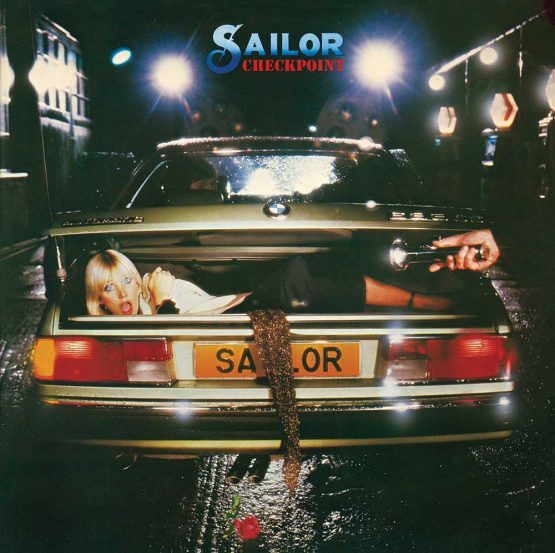 Previous Sailor CD’s on 7T’s have all been well received and we expect a positive response for this release.